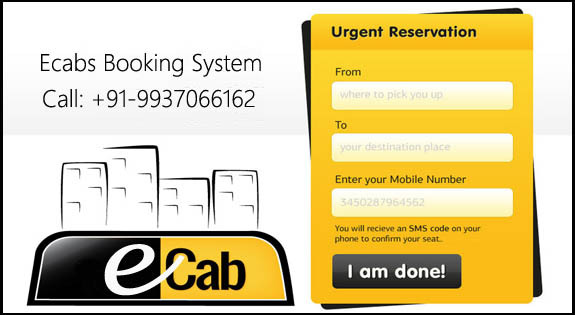 In the past few years, online cab booking industry in India has grown by leaps and bounds. E cab booking software is a technical solution which provides car rental advance reservations to those tourists who plan their trip to visit various destinations. Car booking software that we design and develop at our place is a solution which provides online bookings of automobiles through the web application of organizations which offers tourism services to the users in all over the world. Car booking software is a concept of communicating with the service provider and that with the driver using wireless radio technology and GPS systems, where as the location of the nearest taxi to the point of reporting is known. This concept is popular because of the minimum time taken to locate , communicate, report and distance travelled saving both running cost and time, optimum utilization of vehicles per day. Cab booking software not only helps you by offering a feature-rich, highly-customizable booking system for your website, but also helps your customers too. It provides them with a user friendly interface that calculates the quote for you, on the move, with just a single click. Online Cab booking Software Bhubaneswar,Online Cab booking System Website Designing Company Odisha , Online Cab booking Website Design,Online Cab booking Software Development,Online Cab booking Software Development bhubaneswar,Online Cab booking Softawre Development Company,Web based Cab booking software,Online Cab booking Software Solution,Online Cab booking system web development odisha,Online Cab booking Software India,Online Cab booking development Bhubaneswar,Online Cab booking Softwares Designing & Development,Online Cab booking Software Company ,Online Cab booking Software Odisha , Online Cab booking Sytem Software Designing Company in Bhubaneswar Odisha India.